This is Spring Break week in Texas, so we decided to get the trailer out again for a short trip since it had been resting for the winter ever since our November trip. We had to avoid all the crowded places that kids and families favor, and look for some off-the-beaten-trail destinations. Wharton and Matagorda Counties filled the bill because they are so close to Richmond that we never considered them for past RV vacations. [Monday] March 16th we took US-59 southwest from Richmond the short 30-mile drive to Wharton. 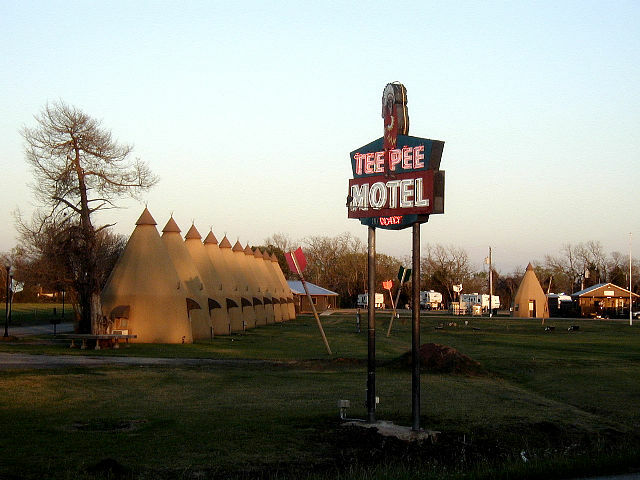 In Wharton, we checked our Titanium into the Tee Pee Motel and RV Park on TX-60 north of town. 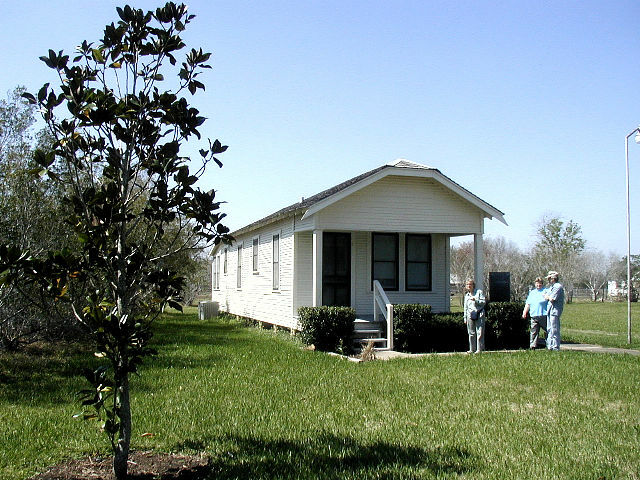 Originally built in 1942, it was purchased, restored and fitted with modern accommodations in 2006, along with the nice full service RV Park. 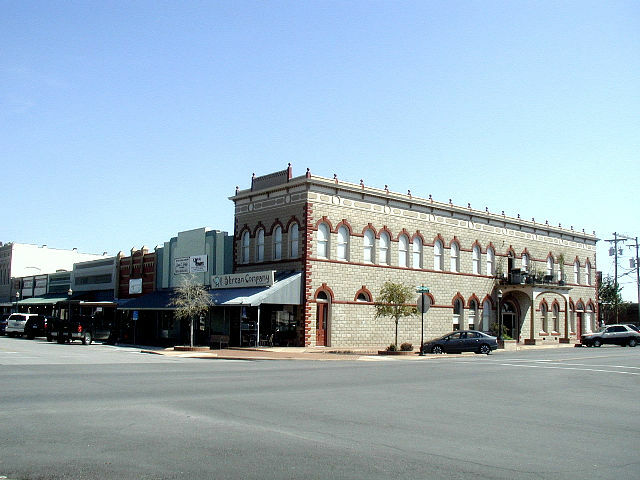 After eating lunch, we drove the 3 miles to downtown Wharton. 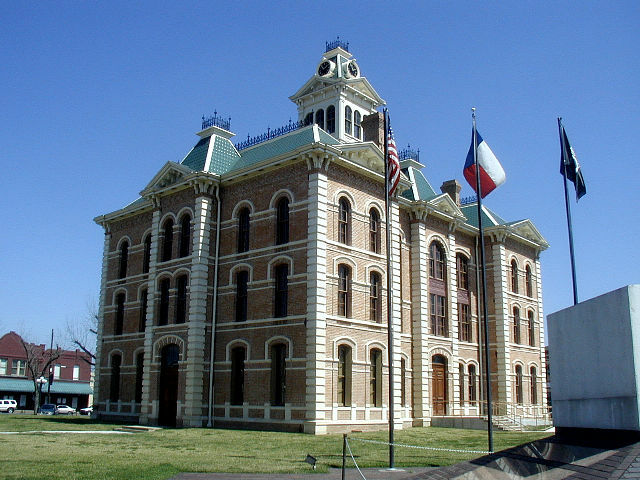 We parked on the courthouse square and walked through the newly restored Wharton County Courthouse. Then we went to the chamber of commerce and picked up literature and maps of the area and some good advice from the staff. Then back to the courthouse square and a trip around the square on foot to check out some of the Antique stores that were open on a Monday afternoon. After driving around the city to see some of the old homes, we returned to the trailer. [Tuesday] The fog was really thick this morning and we had to wait until about 10:30 before it cleared enough to go to our first activity of the day. This morning we planned to drive a few miles southwest of Wharton on US-59 to Pierce. 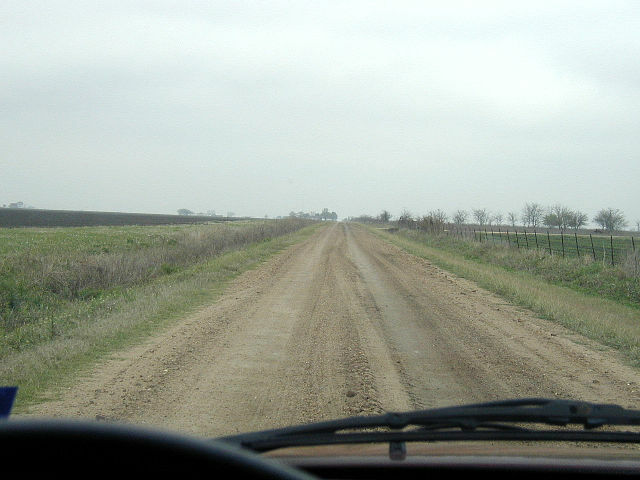 Then on CR-421 south about 2 miles to the Pierce Ranch Waterbird Viewing Site. 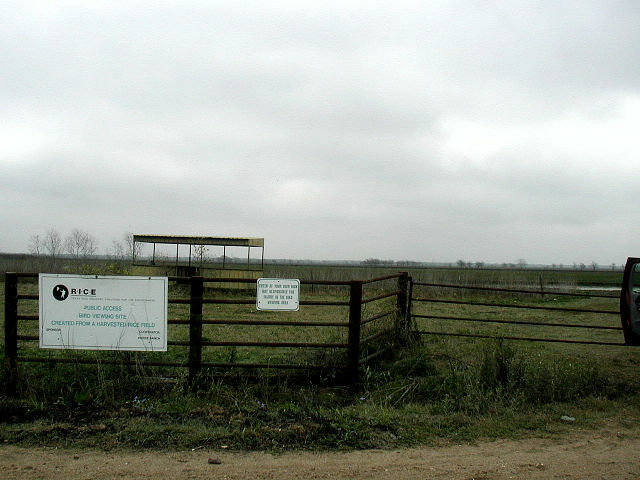 An unused rice field is flooded to attract waterfowl. There were lots of ducks, ibises, and egrets, including the first white-faced ibis we had seen. 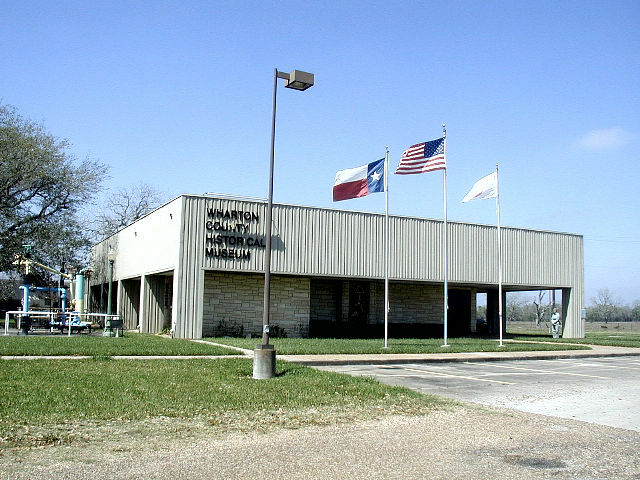 After lunch at the trailer, we drove about a half mile to the Wharton County Historical Museum. This is an excellent museum and contains many items from the personal collection of the Johnson family. 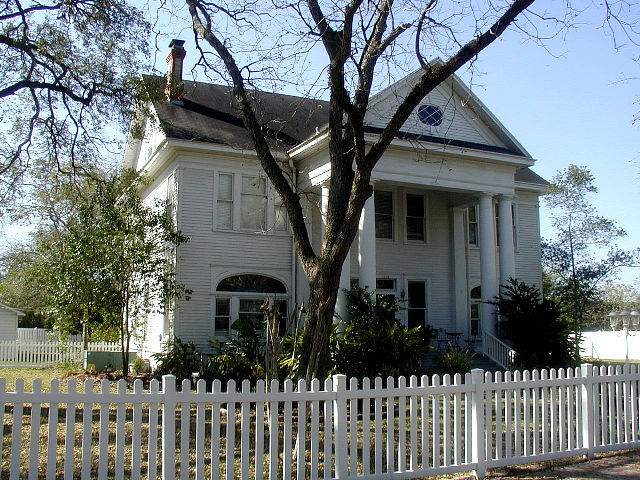 On the site is the birthplace home of CBS anchorman Dan Rather. 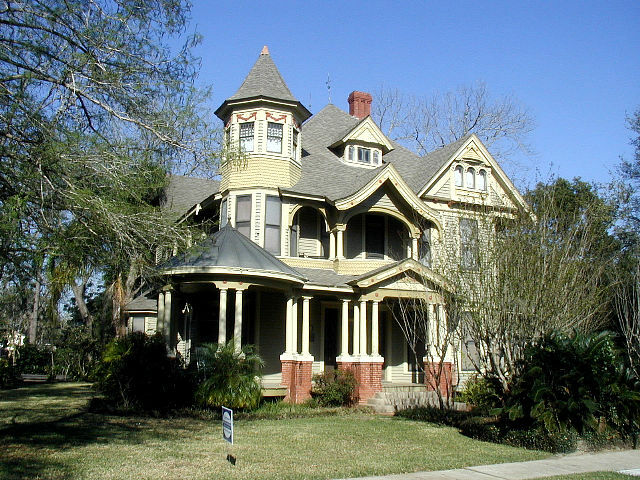 Rather was born in Wharton and lived in the house until he was 1 year old and his family moved to Houston. 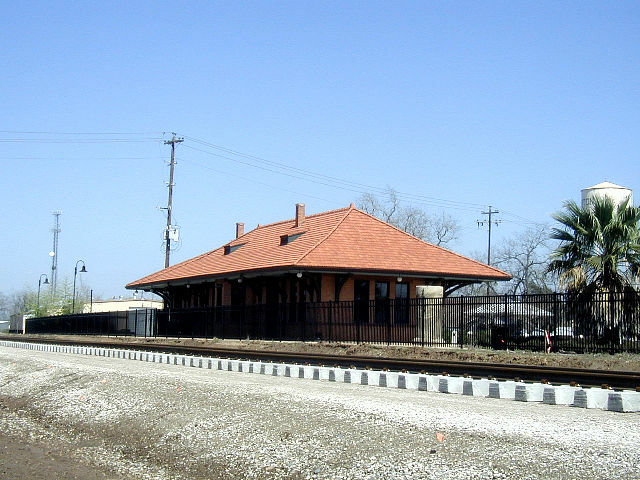 After about 2 hours in the museum, we drove to the restored Southern Pacific Depot and looked at the new rail line to Mexico that is being built through Wharton. 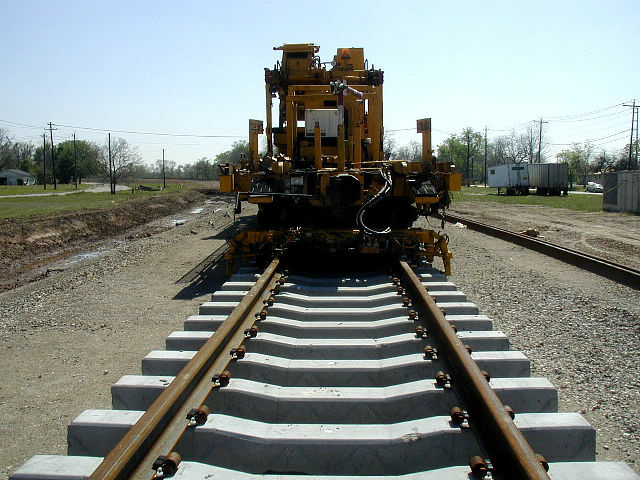 It was the first time I had seen concrete crossties used. Afterwards, we took a short drive up CR-102 to Glen Flora. 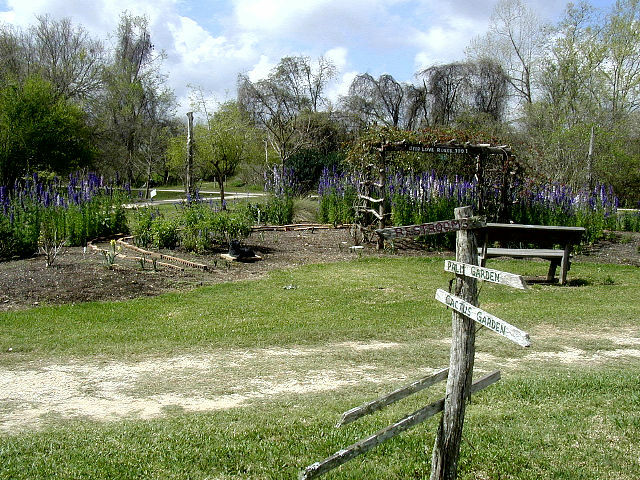 Glen Flora was founded in 1900 by a group of Pennsylvania Dutch investors to grow sugar cane. 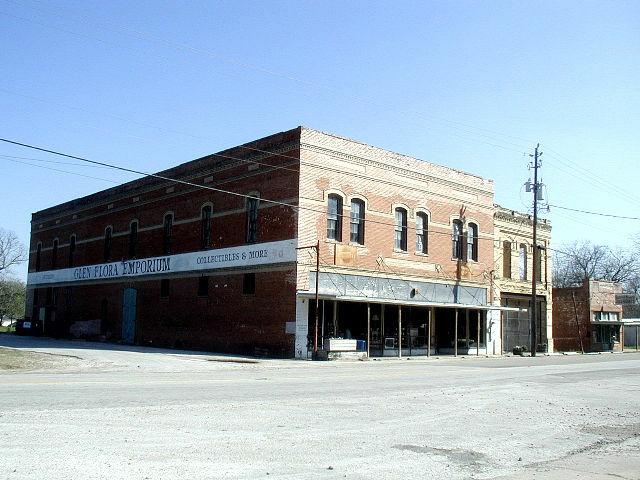 All that remains there today are a few old buildings containing antique shops. The Glen Flora Emporium is an interesting place to spend some time in the past. We returned back to Wharton via a side stop in Hungerford. 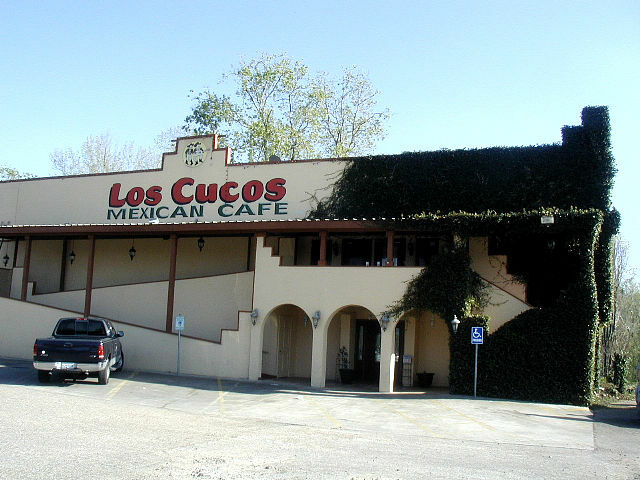 Our final stop before returning to the trailer was Los Cucos Mexican Cafe where we enjoyed a nice dinner. 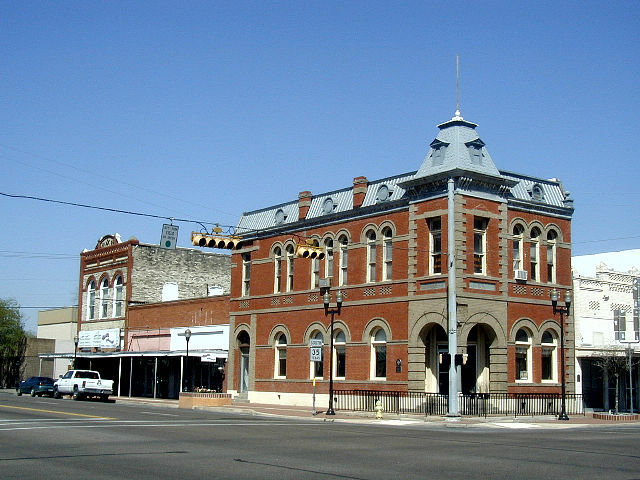 [Wednesday] This morning we leave Wharton and move further south on TX-60 to Bay City in Matagorda County. 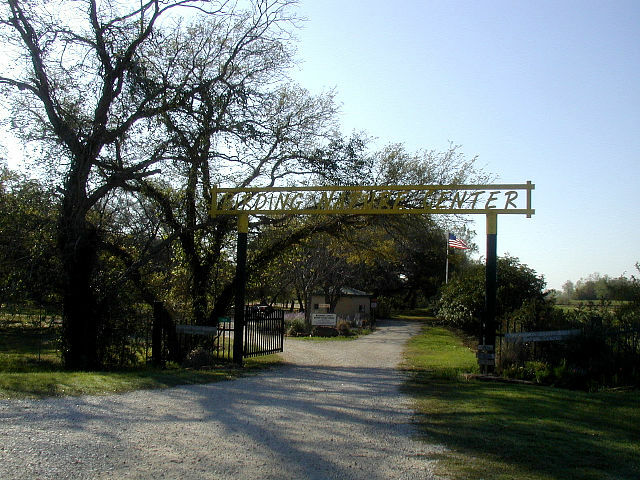 We arrived at Bert's RV Park just west of town on TX-35, conveniently just across the highway from the Matagorda County Birding Nature Center. After lunch went to the visitors center to pick up information. That afternoon we went to HEB to pick up some groceries and stayed around the trailer. [Thursday] It was still foggy in the mornings, but we decided to go across the road to the Birding Nature Center after breakfast. 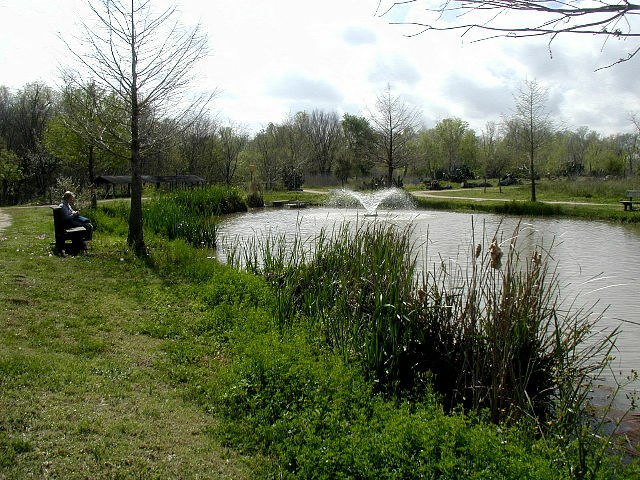 It is a very nice 34-acre park located on the Colorado River. 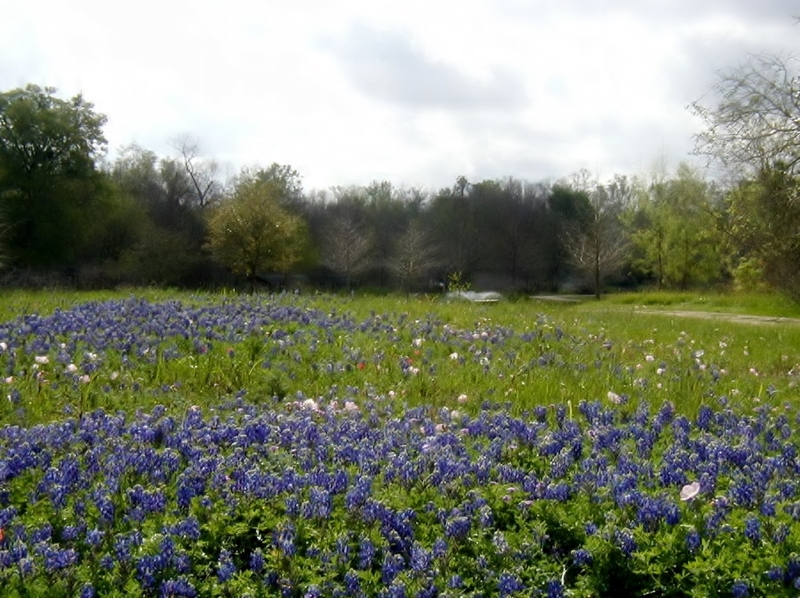 They have nature trails, wetlands, woodlands, native prairies, gardens, boardwalks and bridges and an outdoor education center. 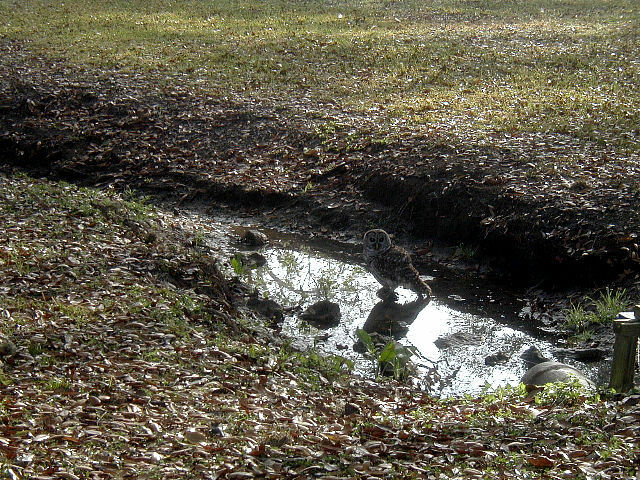 We were delighted to see the Barred Owls and managed to get a picture. We spent the morning there enjoying everything. < Scenes from the Nature Center. After lunch we decided to drive down to the town of Matagorda south of Bay City on TX-60. From there we continued south on FM-2831 to the end of the road at the beach. 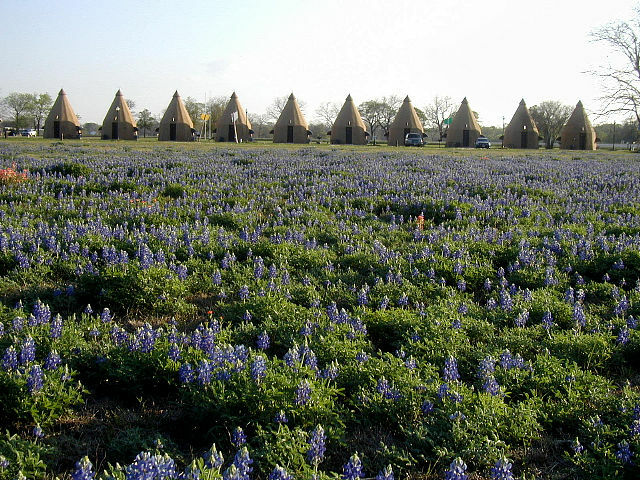 We checked out the LCRA RV Park that is located there for possible future use. It is a nice park with many spaces. 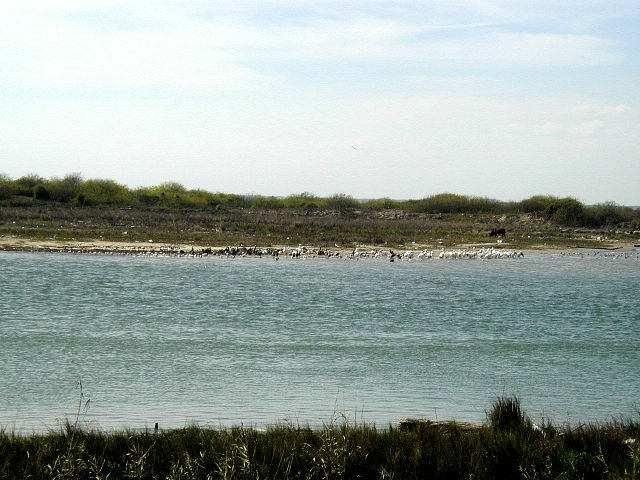 We also visited the Matagorda Bay Nature Park and saw lots of waterfowl across the Intercoastal Canal from their back porch. [Friday] On our last morning we decided to take a walking tour of Bay City's Historic Homes using the Tour Guide we picked up at the visitor's center. They are clustered in an easy to walk group south of the courthouse square. Afterwards we walked around the courthouse square to look at the historic buildings. Some secenic samples are below. 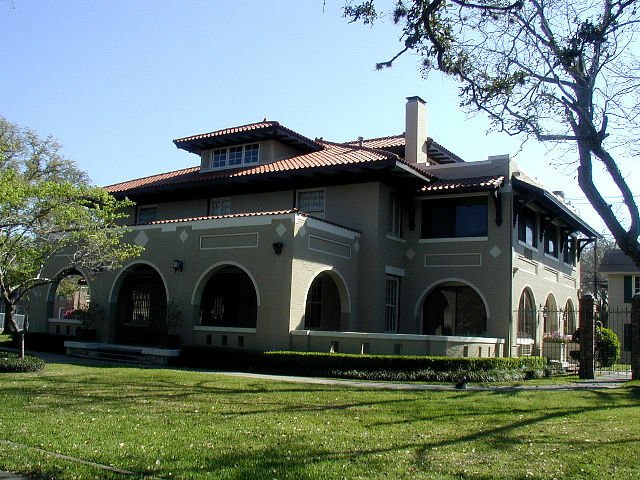 < Holman-Allen House (1908). < Kilbride-Barkley House (1910). After lunch we took the short drive back to Richmond. This draws to a close our visit to Wharton and Matagorda County. We hope you enjoyed the photos and brief descriptions of our activities. God willing, join us again soon for another RV adventure. Bless the Lord, Oh my soul, And all that is within me, bless His holy name. 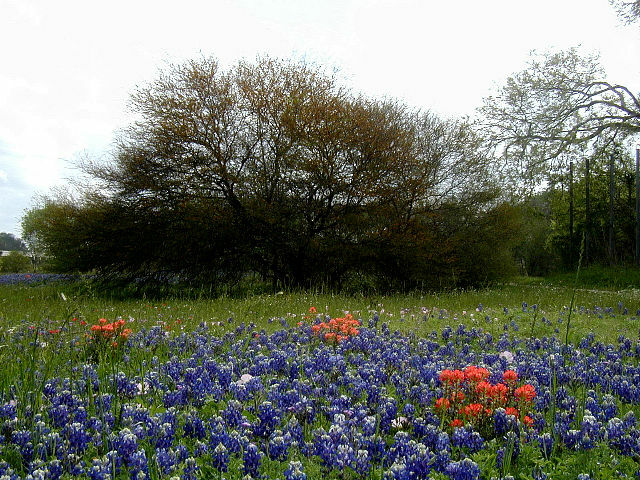 Bless the Lord, Oh my soul, And forget none of His benefits; Who pardons all your iniquities, Who heals all your diseases; Who redeems your life from the pit, Who crowns you with lovingkindness and compassion; Who satisfies your years with good things, So that your youth is renewed like the eagle.